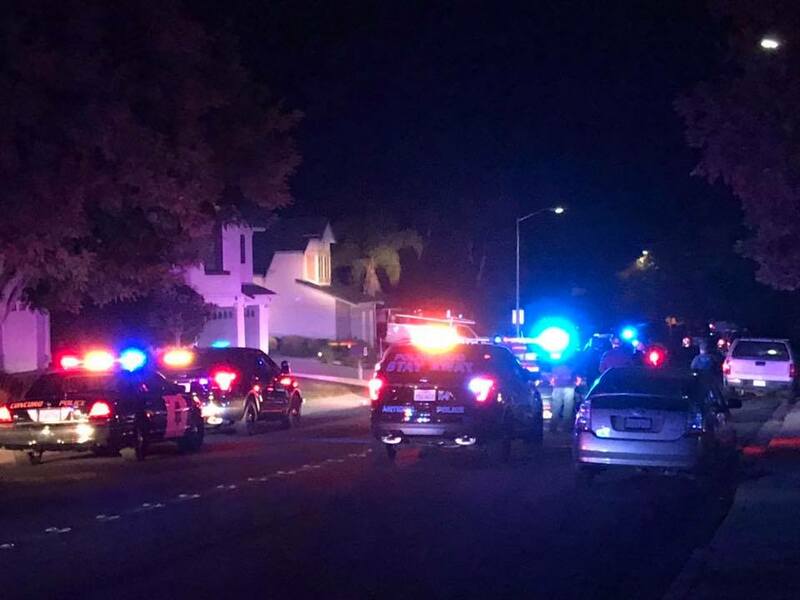 As of 11:18 p.m. Monday, November 5, 2018, according to Antioch Police Chief Tammany Brooks, what started out as a neighborhood dispute at about 7:45 p.m., ended with an Antioch Police Officer injured in the head, and the male suspect barricaded in a house on Deerfield Drive between Fawn Hill Way and Elkhorn Way, with another person with him. Police believe the house is where the suspect lives and the person with him is a family member. The injured officer was treated and released from the hospital, while SWAT and negotiators were “trying to bring the situation to a successful resolution,” Brooks said. Officers could be heard calling out to the suspect over a loud speaker. Early on the report went out that the officer had been shot in the head. Later reports said it was either a BB or pellet gun. In response, officers from multiple agencies showed up, with at least 40 to 50 police cars on the scene, having driven up Hillcrest Avenue with their sirens blaring. But, Chief Brooks only said the officer was injured in the head. It was believed that another suspect was on the loose, and police searched the area on foot and used what appeared to be a drone over the Hillcrest area. However, that turned out not to be the case. Police blocked multiple streets leading to the area, including Hillcrest Avenue at Golden Bear Drive, and Via Dora Drive at Wildcat Circle. Please check back later for more details or updates to this story. This entry was posted on Tuesday, November 6th, 2018 at 1:11 am and is filed under News, Police & Crime. You can follow any responses to this entry through the RSS 2.0 feed. You can leave a response, or trackback from your own site.